Japanese foodies now have another place to visit to satisfy their cravings. 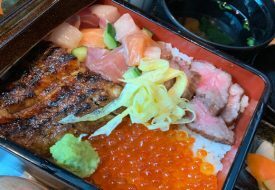 Opened earlier this week, SORA, a Japanese gourmet food hall, seats about 300 diners, and is the largest restaurant across the four terminals in Changi Airport. 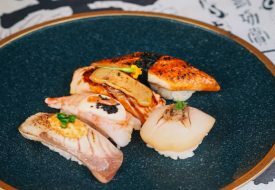 Located in the public area on Level 3, the dining enclave houses six Japanese restaurant brands serving up an oishii line-up of dishes including ramen, sashimi, okonomiyaki, and Nippon-inspired desserts and beverages. 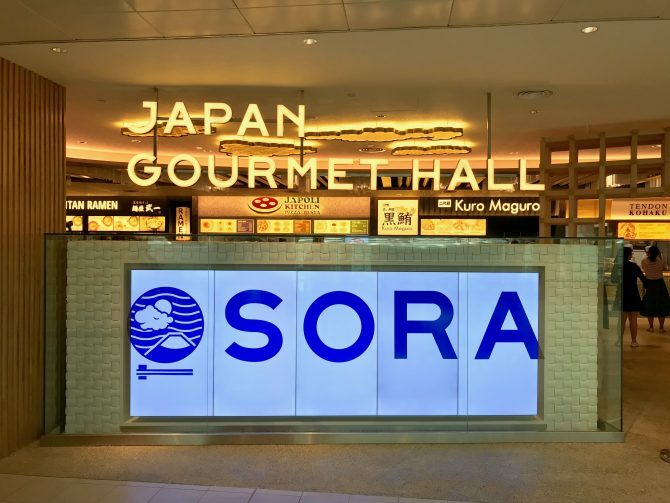 SORA is the first food hall outside of Japan operated by ANA Trading, the trading arm of Japanese airlines All Nippon Airways. 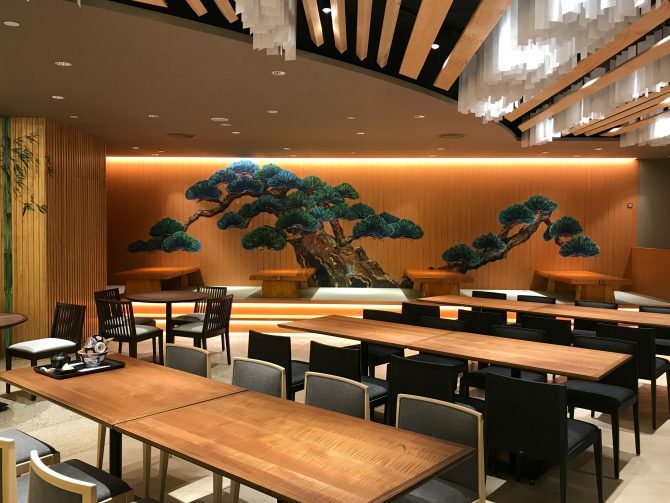 Modeled after airline lounges, SORA (which means sky in Japanese, a reference to its association with airports and planes) boasts comfy booth and tatami seating options. Much like a foodcourt or kopitiam, diners can order food from any of the stalls, and then sit anywhere within the food hall. 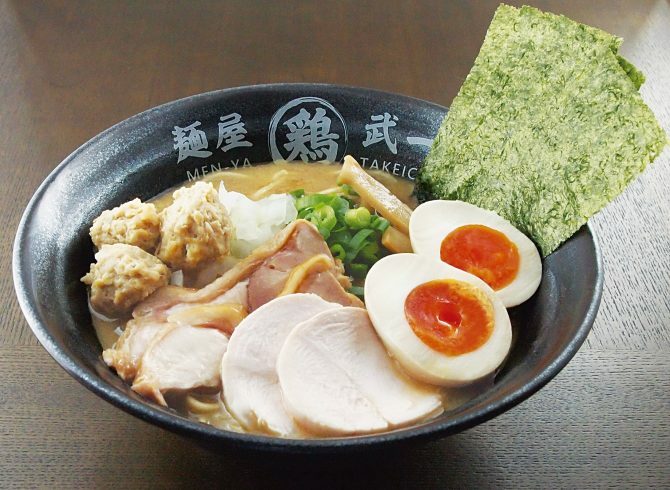 Tokyo chicken ramen chain Menya Takeichi is here in Terminal 2, perking up weary travellers with its hearty, collagen-rich chicken bowls. Prices start from $13.90. 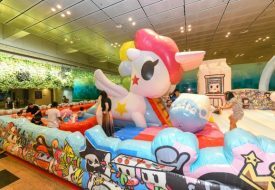 SORA is located at Singapore Changi Airport Terminal 2, and opens from 10.30am t0 11pm daily.